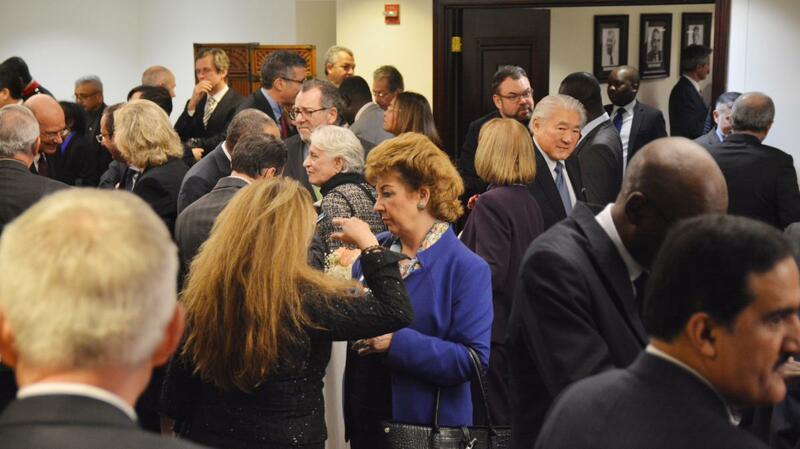 Over 300 high dignitaries including a large and representative gathering of Permanent Representatives, senior diplomats, senior officials of the UN, Sri Lankan professionals, members of the press and civil society, among others, were present to mark the occasion. 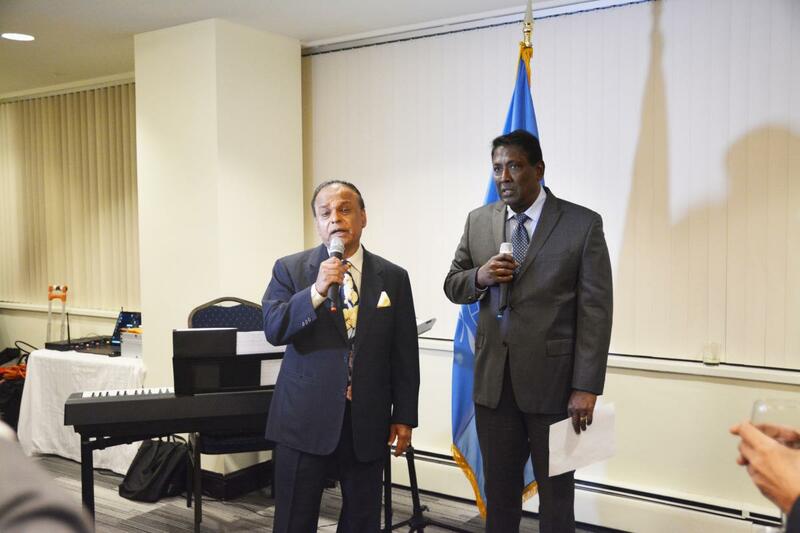 The proceedings commenced with the singing of the National Anthem in both Sinhala and Tamil by two members of the expatriate community Dr. Esiri Karunaratne and Mr. Godfrey Tisseverasinghe, following which Ambassador and Permanent Representative of Sri Lanka, H.E. Dr. Rohan Perera, delivered the welcome address. Ambassador Perera said that Sri Lanka’s post-independence journey has not been without its challenges. “We have faced challenges of conflict, challenges of building, restoring and maintaining peace, and challenges of meeting national development goals, among others, he noted. “Independence celebrations are an opportune moment to reflect on these challenges, draw lessons from them, and articulate a common vision for the future – a vision of building an equitable, open and inclusive society, respecting the multi ethnic, multi-religious and multi- cultural character of our nation, he also said. Dr. Perera concluded by assuring the international community of Sri Lanka’s commitment to engagement. 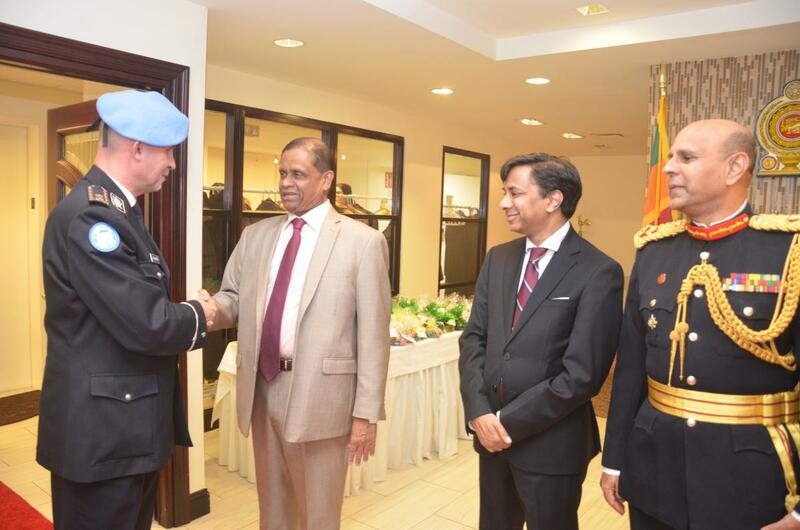 Noting that Sri Lanka had been an active member of the United Nations since our admission 61 years ago, he said that Sri Lanka will continue to closely engage with the UN and its systems and procedures in diverse areas including peacekeeping and peace building. One of the highlights of the evening was a performance by the highly acclaimed Schiller Institute New York City Chorus who performed two Sri Lankan classical favorites, Lanka Lanka and Dakuna Neganahira as a gift to Sri Lanka on the occasion of its 71st Anniversary of Independence.